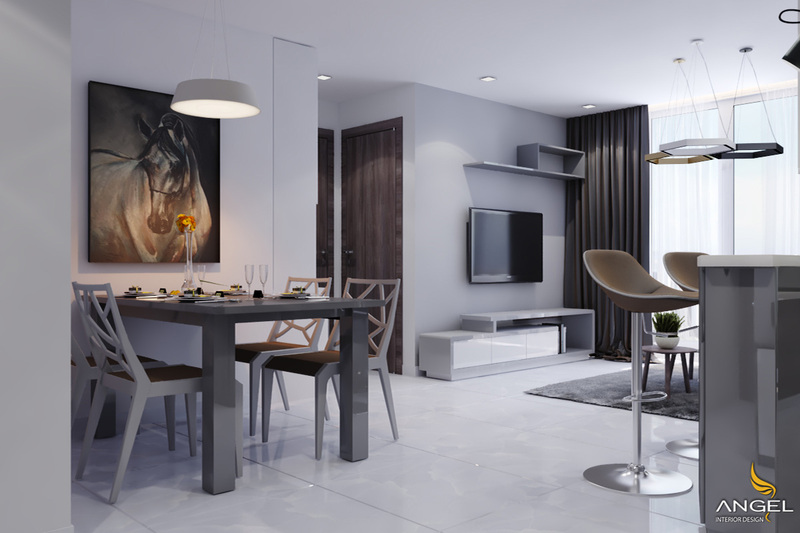 Interior design Vinhomes Central Park - luxury residential area in HCMC. This place is formed from Central Park in New York City, USA with an area of ​​43.91 hectares. The apartments in this apartment will be more wonderful if you give us confidence. 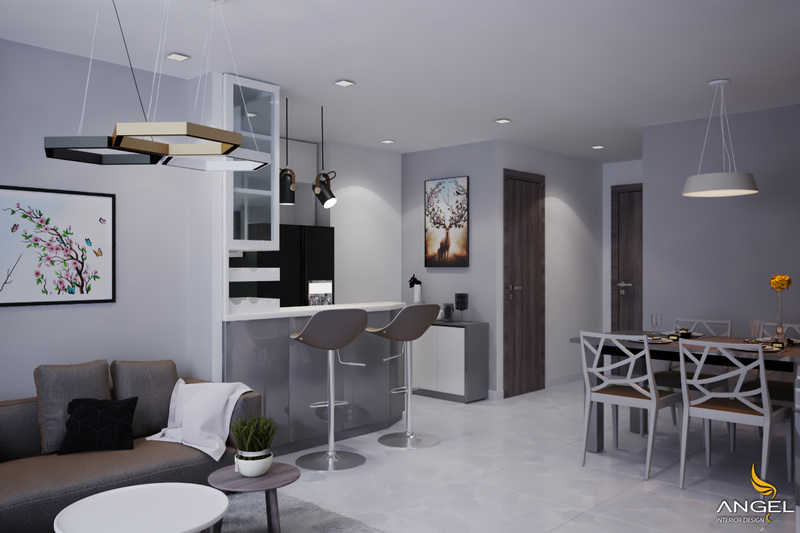 The following is one of the typical designs in Vinhomes Central Park. 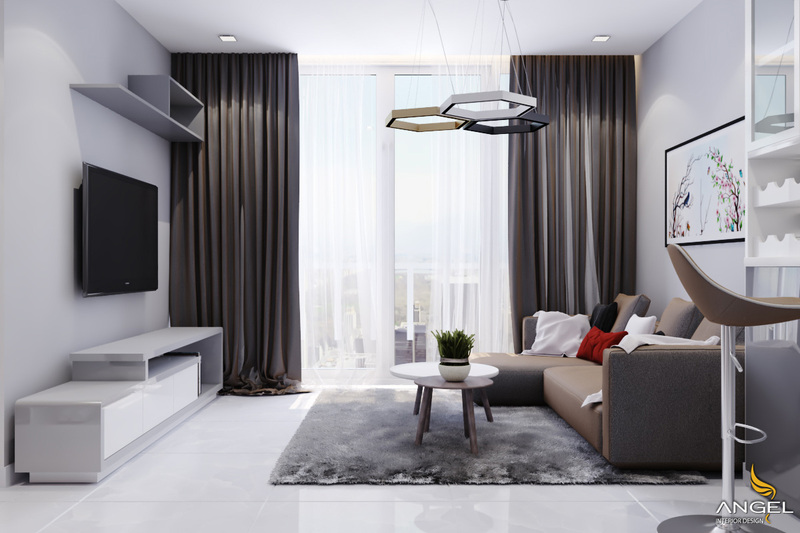 Interior design apartments in Vinhomes are always skilled architects and professional stability to transform the apartment is perfect. 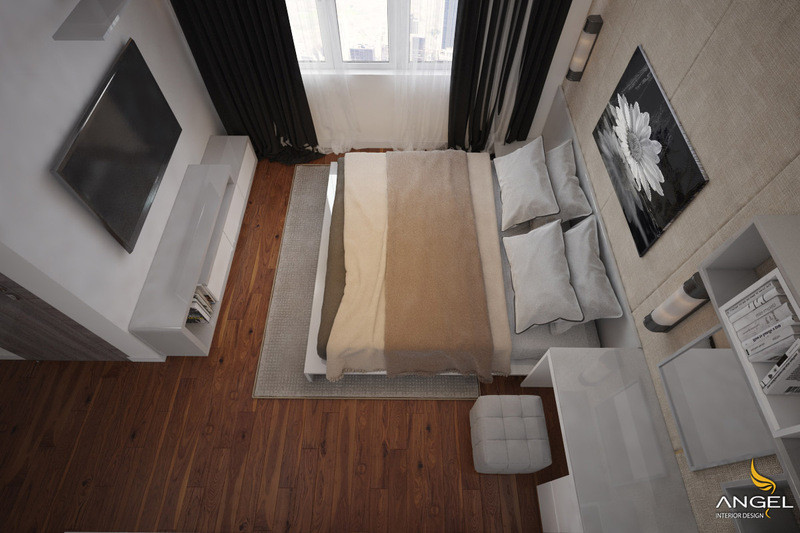 So Hung has put our trust in us to design the apartment with an extremely popular style that is modern style. 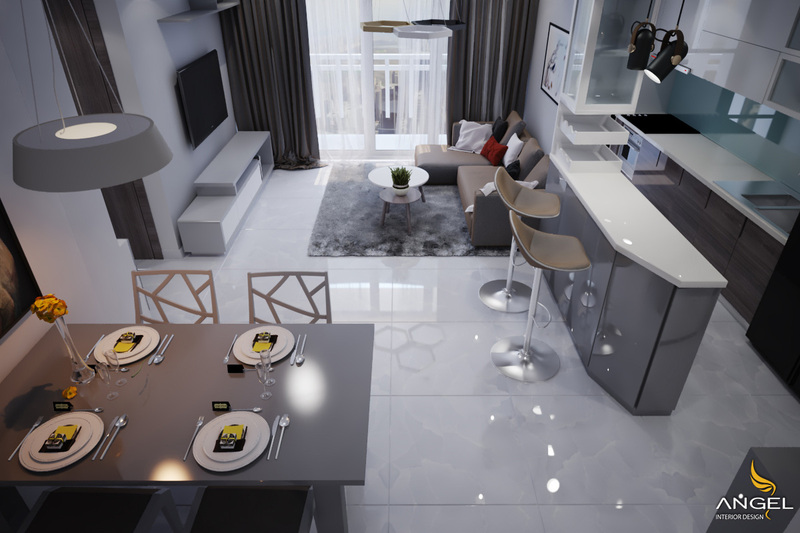 When entering the dining room and living room, you will enjoy the layout and arrangement of modern style in the "open" subtle. The layout of open space between the main purpose is to increase the living area of ​​the family and add a little cozy, close. Furniture must be in tune with the latest technology and wood. 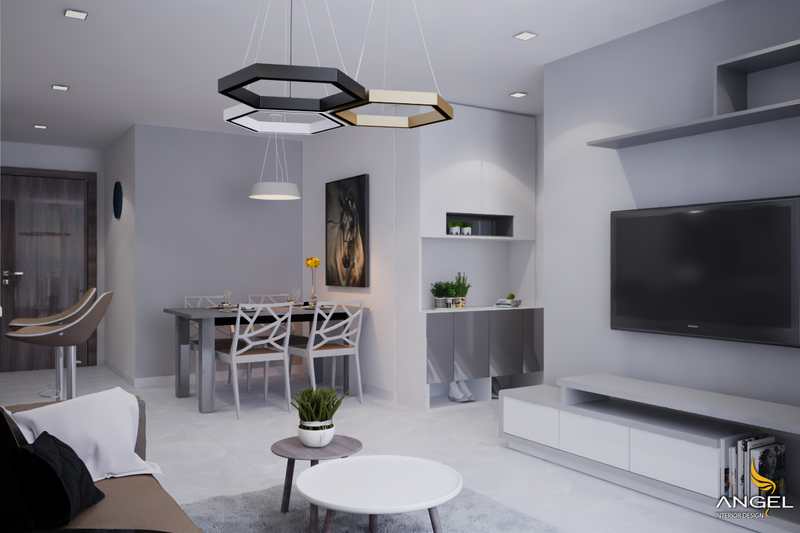 Therefore, it took Angel architects plenty of time to select furniture that suits the style and value of the apartment. In addition, the use of environmentally friendly materials with health safety is also indispensable. The interior of the modern style is easily recognizable by the simplicity of geometry and monotonous shapes. On color selection, we always listen to the customer's opinion about this. The Angel section will advise guests on the favorite colors of the year and help them choose the right colors for the apartment. 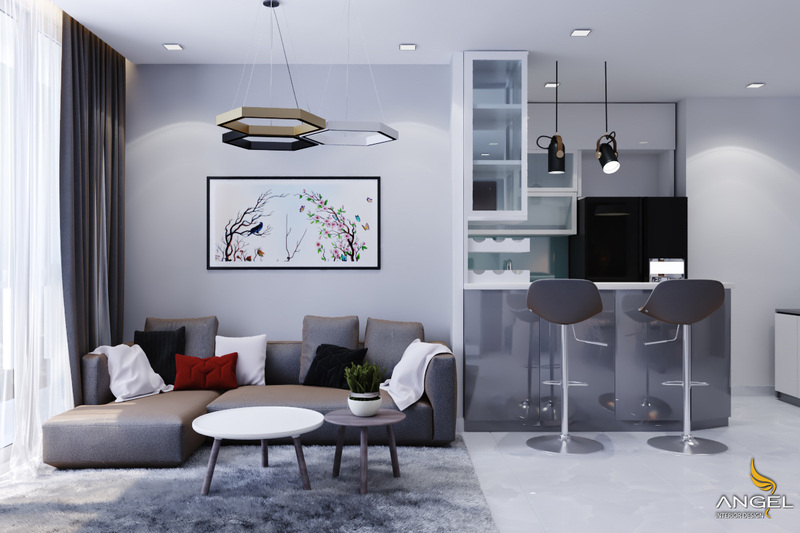 Each separate space will have different colors suitable for the age of each member of the family and feng shui for the family. 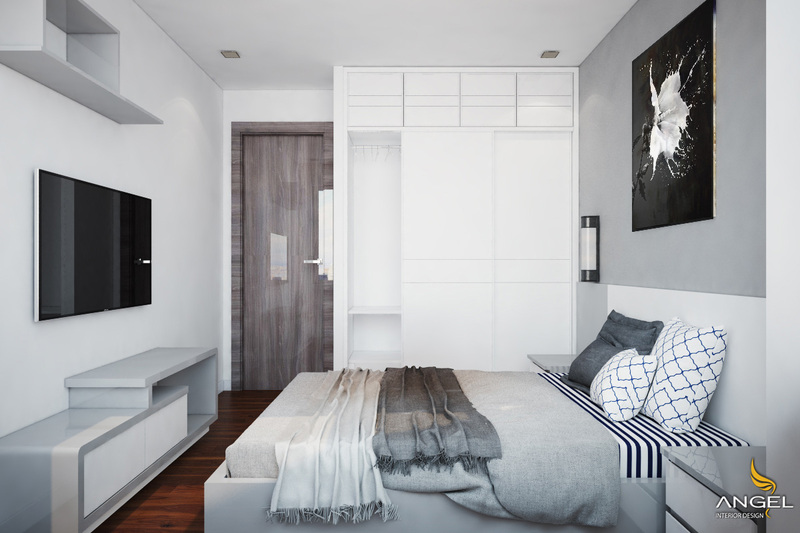 Gray is used a lot nowadays because it creates a sense of comfort and is extremely clean. The color will bring warmth combined with wood floors or wooden furniture. Angel furniture shelves are highly appreciated by customers for their creativity and functionality. With wood flooring matching the background color creates a contrast for the more prominent interior that is the purpose of the architect. The simplest, most cost-effective form of decoration can be hanging many pictures on the same wall. 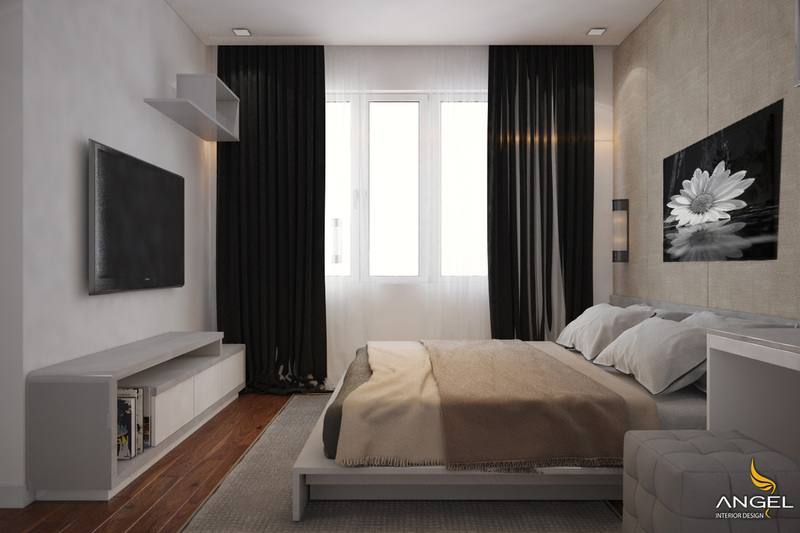 Black background painting is the key to impress the room.